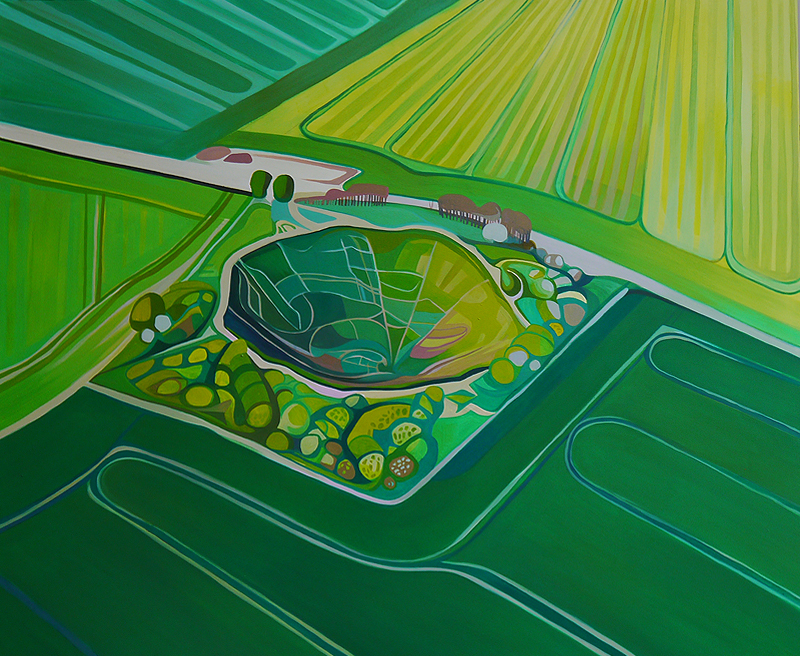 I have always been interested in the work of Paul Nash and co-produced (with Christopher Baines) the website www.nashclumps.org which connects the artist with the landscape of the Wittenham Clumps in Oxfordshire. As recently as six years ago Nash was not well recognised. He has now become one of the most well-known War Artists of his generation. 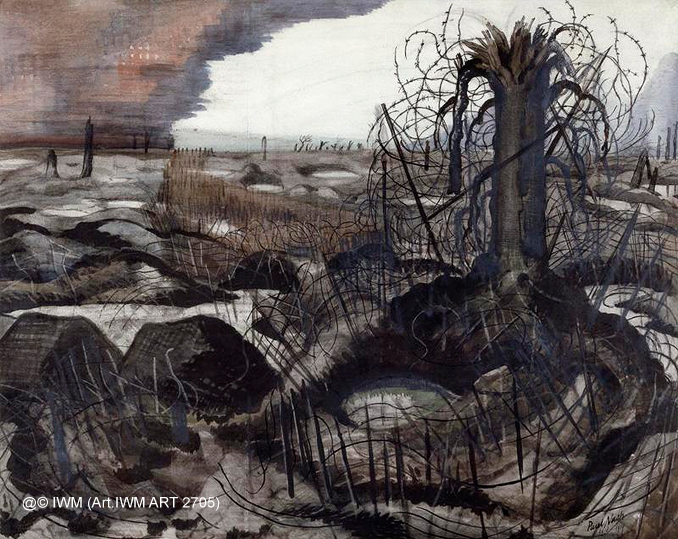 It is well documented that the war completely transformed Paul Nash and the way he painted. Before 1914 he was a romantically minded, passionate and driven young man. He served with the Hampshire Regiment in 1917 and his descriptions of the landscapes of France at this time were poetic and light hearted. He was a prolific and good writer. 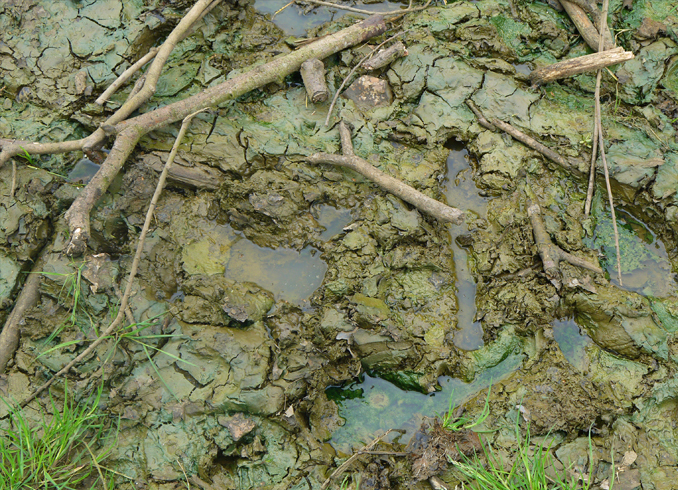 As he travelled north towards Belgium he began to note changes in the landscape. It was in April 1917 that he finally experienced life in the Front Line, albeit for a small period of time. His earlier zest and vigour started to wane as he became worried about the effects of war back in England with the great shortage of food. Following an injury that kept him out of service for most of 1917 he campaigned hard to become an offical war artist and finally got his wish in November 1917 when he returned to France and Belgium. He witnessed the tragic aftermath of conflict upon the landscape. His depictions of broken trees and bleak, sombre sketches were nervously received by those who had commissioned him. A century on they show us the truth of what war brought to the landscapes of France and Belgium.